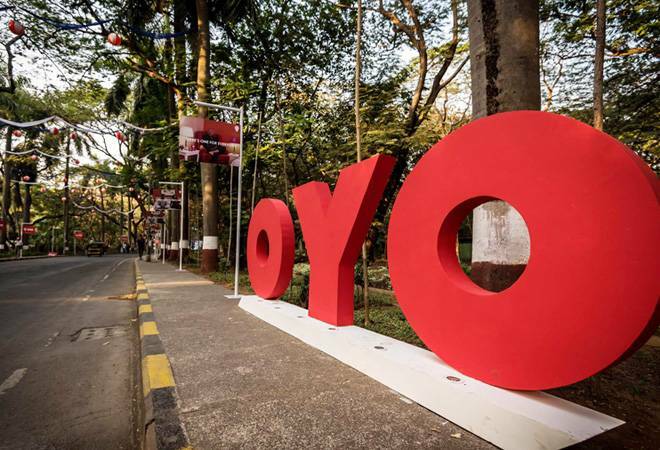 OYO said that it plans to channel approximately $600 million of the funds raised into "strengthening its position in China" and the rest to retain leadership position in India while expanding its footprint. It's turning out to be a big year for hospitality company OYO. It has been expanding its global footprint by moving into China and the UK, and is close to turning profitable. The icing on the cake? It has reportedly just entered the coveted unicorn club.The Gurugram-based hotel chain, founded by 24-year-old college dropout Ritesh Agarwal in 2013, today announced that it has raised $800 million from Japanese telecom major Softbank through Softbank Vision Fund. The Economic Times further reported that the company also received an additional commitment of $200 million, taking the total fundraise to $1 billion. The round also saw participation from its other existing investors such as Lightspeed Venture Partners, Sequoia and Greenoaks Capital. JP Morgan played the role of the financial advisor to OYO for the same. Though the company did not comment on valuations, sources previously told the daily that after the fundraise, OYO could be valued at between $4.5-5 billion - in the same league as Ola, India's largest taxi-hailing service. In its previous round last September, when OYO had raised about $260 million from SoftBank and other investors, it had been valued at about $850 million. In a statement OYO said that it plans to channel approximately $600 million of the funds raised into "strengthening its position in China" and the rest to retain leadership position in India while expanding its footprint. The company also plans to continue investing in technology and talent, and deploy fresh capital to take their "unique model that enables small hotel owners to create quality living spaces" to new geographies. "In a short span of time, Oyo Hotels has grown to become the most-preferred hotel brand in both economy and mid-market segments. We have already started expanding our presence to newer segments, with Oyo Home, Oyo Townhouse and more recently Palette Resorts by Oyo. We will continue to explore newer businesses while remaining focused on both organic and inorganic growth," said Agarwal. According to the company, it already counts more than 1.25 lakh rooms across the country and is witnessing more than three times growth year on year with net take rates of over 20%. Other than attaining unit level profitability, OYO claims to be benefiting from 90% of the demand coming from the direct channels and 67% of the topline in India coming from repeat customers. In the past year, OYO increased its international footprint to four countries - China, Malaysia, Nepal and, more recently, the UK. In less than a year since it forayed into China, the company already has about 87,000 rooms across 171 cities. In total, it claims to be present in over 350 cities with over 10,000 asset partners. So the big-ticket fundraise does not really come as a surprise. Besides, SoftBank's CEO Masayoshi Son has long been raving about this company. In fact, in an investor presentation on August 6, he had even compared OYO's growth to the world's biggest hotel chains such as the Taj Group, Marriott and Hilton.